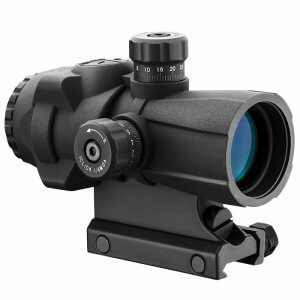 The AR-X PRO Series is an innovative prism scope system that was designed for law enforcement and military applications. AR-X PRO scopes feature a newly designed Cross-Dot Illuminated Reticle, which can be switched between red, green, or blue. 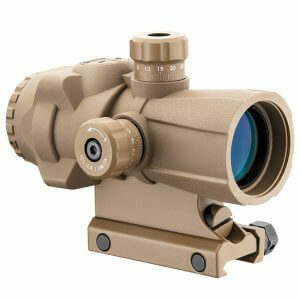 The brightness of the illuminated reticle can also be adjusted to better match the current lighting environment. 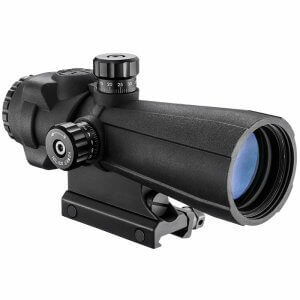 The AR-X PRO Series is equipped with a tough rubber armor, which protects the scope from external damage and impact. 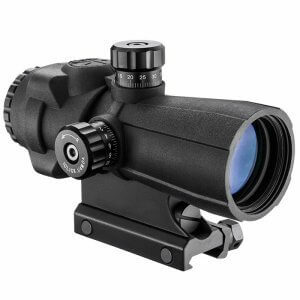 The AR-X PRO series also features external adjustable windage/elevation turrets, which makes it easy for the user to make quick corrections to their scopes settings.